In a new study published in Mayo Clinic Proceedings, Mayo Clinic researchers present the first population-based evidence showing how often food allergies are diagnosed in people. The study also determined which foods are most likely to cause allergic reactions in different age groups. Knowing that they had access to a unique population health resource, Dr. Joshi and her team decided to answer these questions in a more definitive manner. The researchers used the linked medical records of the Rochester Epidemiology Project to examine the incidence of food allergies of people of all ages during the 10-year period Jan. 2, 2002, through Dec. 31, 2011. What the researchers found was that males were much more likely to be diagnosed with a food allergy than females, with the difference becoming evident in diagnoses in children ages 1-4. Other age groups did not have significant differences between the sexes. Between these 2-year periods 2002-2003 and 2006-2007, the likelihood of being diagnosed with food allergies increased nearly two fold. However, this rate stabilized during the years 2009-2011. Babies (< 1 year) were most likely to be diagnosed with a milk allergy, whereas children ages 1-4 were most likely to be diagnosed with a peanut allergy. Adults’ most common diagnosis was a seafood allergy. Dr. Joshi and her team have some theories about why the rates increased so dramatically and then stabilized. Now, they are looking at the period 2012-2017, and expect to see a decrease in incidence. In addition to less protective gut bacteria and appropriate immune responses, the team noted that the evidence in this study shows a pattern that emerged due to what seems an overabundance of caution. In 2000, the American Academy of Pediatrics recommended delaying introduction of allergenic food in babies and small children. By 2006, Mayo's current research shows that the overall incidence of allergies had risen. In 2008, the Academy reversed its earlier recommendation, and in 2013 went further, and recommended early introduction of allergenic foods. The 2013 recommendations resulted from data collected in two studies conducted overseas: Learning Early About Peanut Allergy (LEAP), and Persistence of Oral Tolerance to Peanut (LEAP-On), says Dr. Joshi. Avni Joshi, M.D., discusses her most recent research on Mayo Clinic Radio. 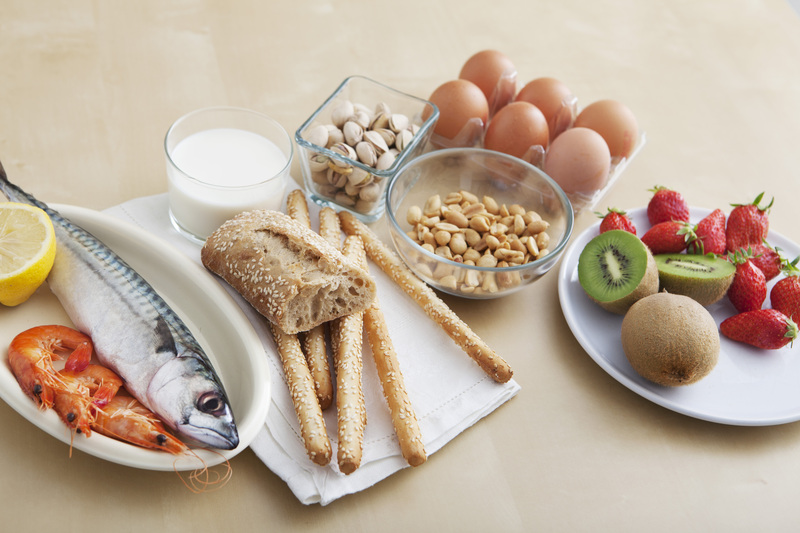 “As we build the evidence base surrounding our knowledge of food sensitization trends, as well as when and why allergies emerge, we hope to find ways to intervene earlier and prevent development of food allergies,” says Dr. Joshi. The researchers hope to determine things such as the likeliness of developing multiple food allergies or of outgrowing allergies. They also hope their research leads to potential interventions and preventive strategies to mitigate the atopic march (progression of allergic diseases). This study was made possible by the Rochester Epidemiology Project (National Institutes of Health grant number R01-AG034676). One of the premier peer-reviewed clinical journals in general and internal medicine, Mayo Clinic Proceedings is among the most widely read and highly cited scientific publications for physicians, with a circulation of approximately 127,000. While the Proceedings is sponsored by Mayo Clinic, it welcomes submissions from authors worldwide, publishing articles that focus on clinical medicine and support the professional and educational needs of its readers. Read more on the website.